Chatbooks, Evelar Solar, Grow, Owlet Baby Care, Podium, Rags to Raches, SureCan, Inc. and TaskEasy, Inc.
We believe that the customer’s experience and their satisfaction should be the top priority of any company; such focus has propelled us to a record-breaking year and numerous other awards including multiple Stevie Awards for outstanding customer service and our recent #100 ranking on the prestigious Inc 500. 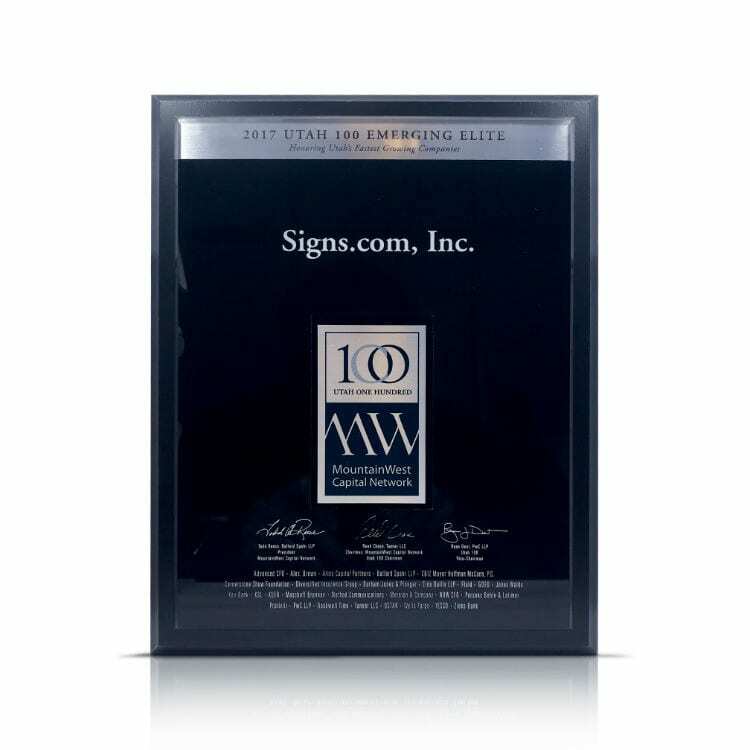 We look forward to continuing our growth as a company and providing the best sign buying experience for our customers. We would not be an elite company without our amazing customers and can’t thank them enough for their support! The Emerging Elite list is comprised of companies with less than five but more than two years of operation that show significant promise for future success. MountainWest Capital Network is Utah’s first and largest business networking organization devoted to supporting entrepreneurial success, and dedicated to the flow of financial, entrepreneurial and intellectual capital.